When you get to the corner where Olive Walk meets Orange Walk, you’re in the middle of the quad at Caltech. Nestled into a quiet, upscale neighborhood in Pasadena, Caltech is a unique place where just under a thousand undergraduates work closely with 300 faculty members – 32 of whom are Nobel Laureates – to find answers through engineering, science and math. 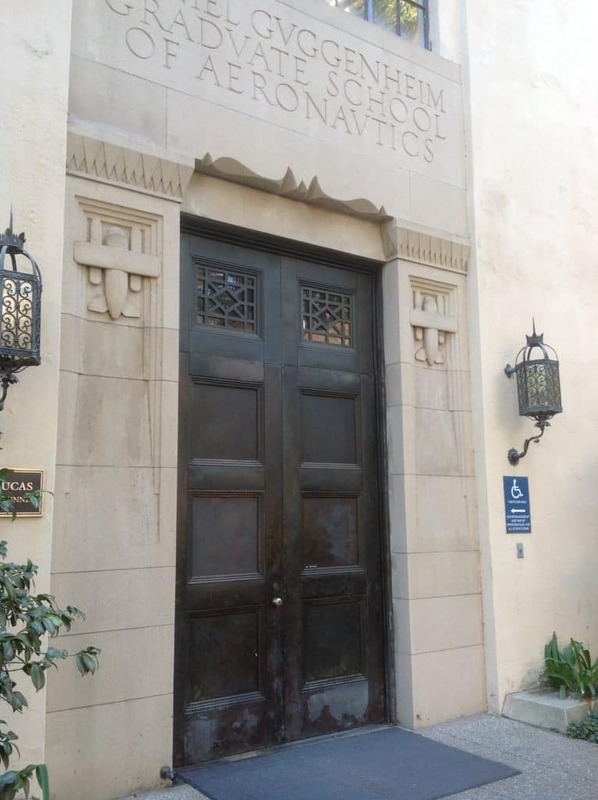 Yes, there are humanities at Caltech – in fact, all students are required to take 12 humanities or social science credits before they graduate – that’s one each academic quarter (students generally take classes three quarters per year). The core curriculum is listed here. Located in a residential Pasadena neighborhood, Caltech buildings are mostly old California style architecture. The student-to-faculty ratio at Caltech is a mind-boggling three-to-one. There are about 1,200 graduate students; they do assist professors but they do not teach courses. Caltech receives about 6,000 applications, admits about 13% in an effort to enroll a freshman class of 235. The school is trying to find students who will build upon the work of the scientific community. Students who are admitted to Caltech generally also have some pretty solid other options for college – the biggest cross-enrollment competitors are MIT, Stanford, Harvard and Princeton. The middle 50% SAT scores of accepted students are 720-800 for the critical reading section and 770-800 on the math (I am not a math whiz – it took me awhile to realize that if the reported “middle-50%” hits up against the maximum number possible, it means that only 25% of the students are below the number reported as the 25th percentile). Students who stand out in Caltech’s admissions process are those who have not just excelled at math and science, but who have “demonstrated passion for math and science,” according to Executive Director of Admissions and Financial Aid Jarrid Whitney, who has worked in admissions offices at Cornell, Dartmouth, Stanford and Santa Clara Universities. Because most students have near perfect scores, says Whitney, Caltech is looking for students who are “involved in math and science activities to a higher level. Joining the robotics team is not enough – students must be leaders or programmers who are competitive at the state or national level.” Applicants who have not taken calculus, physics and chemistry will not be considered for admission. Caltech is obviously a smart and self-selecting group. You can learn a little more about who students are and what they want you to know about them here and here. You can see all of my photos from my visit to Caltech here.